St. John Ambulance and AEDMAP have partnered to develop and deliver a comprehensive public AED registry app to Canadians. 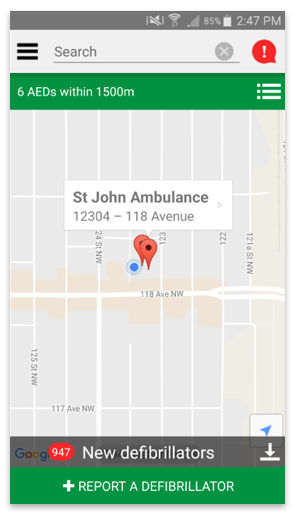 AED Mapping will provide a public AED registry that utilizes google maps to display AED’s in the vicinity of the emergency. In Canada someone experiences a cardiac arrest every thirteen minutes. Early recognition, CPR and use of an AED can increase the odds of survival by 75 per cent or more. 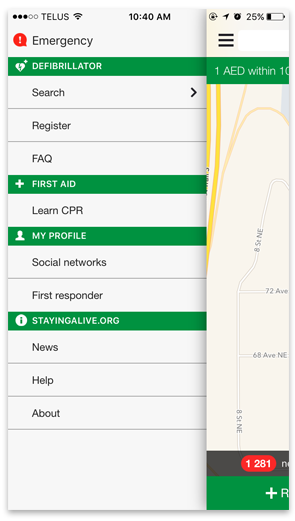 The Save A Life app from St. John Ambulance-Alberta Council is supported by the AEDMAP database, wherein Canadian organizations with an AED can register their device. 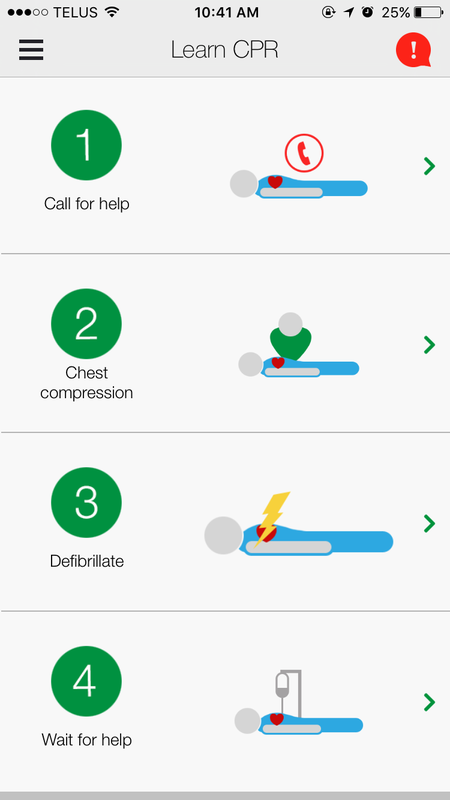 In the event of an emergency, general public or Emergency Services can utilize the application to locate the nearest AED, saving precious seconds. Save A Life’s core focus is centered on improving the odds of survival of those in an emergency by locating the closest AED. 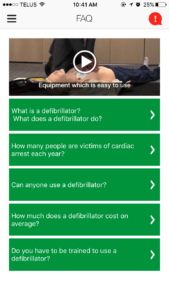 St. John Ambulance and AEDMAP are providing a coordinated approach to Saving Lives. 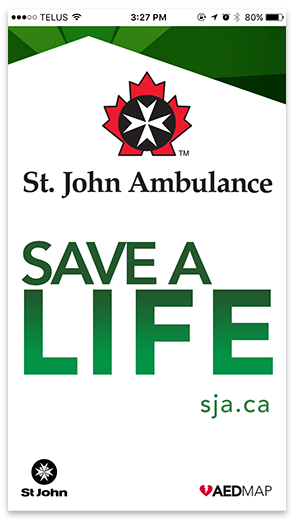 Since 1883 St. John Ambulance has provided Canadians with the most comprehensive and state-of-the-art First Aid and CPR training. With programs for business, individuals and communities St. John Ambulance first aid and CPR courses provide life-saving skills and support to communities across Canada. AEDMAP is a French company with offices in Paris, Toronto and Dubai. 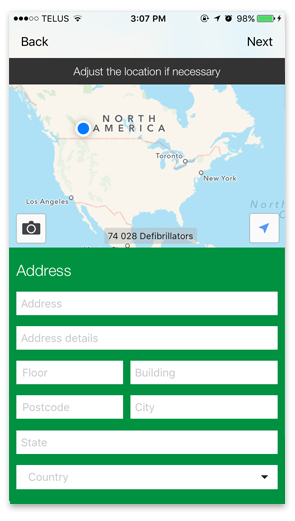 Founded by emergency physician Paul Dardel in 2012, AEDMAP specializes in AED mapping and monitoring solutions. Staying Alive, the company’s free mapping app is to date available in eighteen languages, has been downloaded over a million times, and currently lists 80,000 AED’s worldwide. 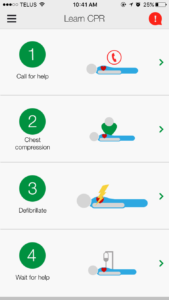 AEDMAP has deployed versions of their critically important app with EMS providers in France, Switzerland, Belgium, Poland and the UAE; St. John Ambulance is pleased to bring the release to Canada.